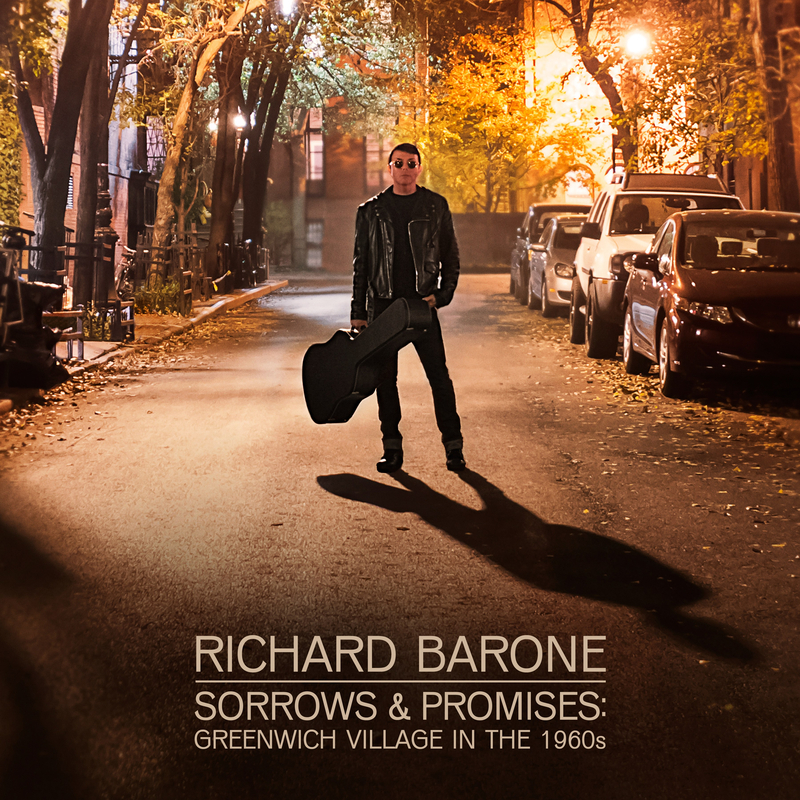 Last Saturday I met Richard Barone at The Village Den in the heart of New York City’s Greenwich Village for coffee and conversation. For those of you who don’t know Richard’s work, he is most well-known as the frontman and songwriter for 80’s “new wave” band The Bongos. But leaving it there would be a disservice to Richard. Before and after The Bongo’s, Richard’s involvement in the music industry has been prolific, and he has worn many hats: singer, songwriter, producer, arranger, DJ, musical director, author, and soon to be, professor. But on this occasion we got together to discus his most recent record, Sorrows & Promises; Greenwich Village in the 1960s. While speaking with him about the subject of the rise of singer/songwriters in The Village, it is easy to understand his passion and dedication to this music. There are many stories gather by talking to people like Donovan, Dion, John Sebastian and Janis Ian. Richard lovingly interprets the early tunes of his idols, as well as some more contemporary icons like Bob Dylan and Lou Reed.